In my office suite this morning, we’re listening to some of the greatest pop songs ever written: “Dear Prudence,” “Back in the U.S.S.R.,” “Ob-La-Di, Ob-La-Da,” more. It’s side one of “The Beatles,” the album you know as “The White Album,” the album I know as the one that blew my mind. 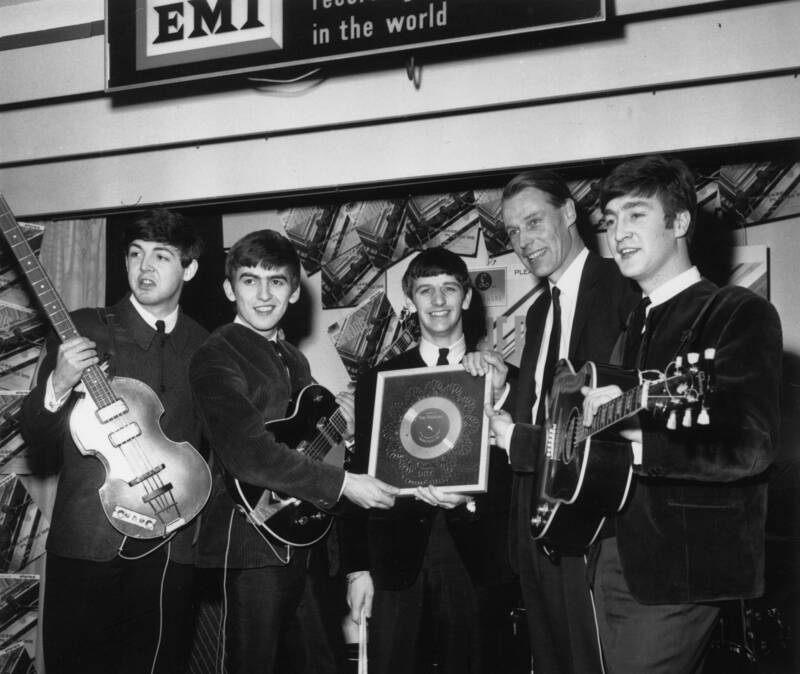 We’re listening in memory of the man they called the “fifth Beatle,” producer George Martin, who died Tuesday at age 90. Martin began recording The Beatles in 1962, after just about every British record label had turned them down. Even he required some convincing initially, but their collaboration would eventually change pop music forever. The classically trained producer set a Billboard record with 23 U.S. and 30 UK No. 1 singles but is best known for his work with the Fab Four, Joshua Barajas wrote for PBS Newshour. Martin – who also worked with the likes of Ella Fitzgerald, The Bee Gees, Cheap Trick and more – produced all but one (Phil Spector-produced “Let It Be” in 1970) of The Beatles’ albums. FM 90 program director Mike Fuller will celebrate Martin’s wide-ranging career in a special episode of “What the Folk?” from 10 a.m. to noon Saturday. It’s hard to choose favourite memories of my time with George, there are so many but one that comes to mind was the time I brought the song 'Yesterday’ to a recording session and the guys in the band suggested that I sang it solo and accompany myself on guitar. After I had done this George Martin said to me, "Paul I have an idea of putting a string quartet on the record.” I said, “Oh no George, we are a rock and roll band and I don’t think it’s a good idea.” With the gentle bedside manner of a great producer he said to me, "Let us try it and if it doesn’t work we won’t use it and we’ll go with your solo version.” I agreed to this and went round to his house the next day to work on the arrangement. … When we recorded the string quartet at Abbey Road, it was so thrilling to know his idea was so correct that I went round telling people about it for weeks. His idea obviously worked because the song subsequently became one of the most recorded songs ever with versions by Frank Sinatra, Elvis Presley, Ray Charles, Marvin Gaye and thousands more. The teamwork that made Martin and The Beatles thrive “has continued to influence everything that followed,” wrote Slate’s Forrest Wickman. “George Martin changed the world. Nothing less,” tweeted Stevie Van Zandt, summing up the music industry’s reaction. In all, Martin produced 13 albums and 22 singles for The Beatles, “a compact body of work that adds up to less than 10 hours of music but that revolutionized the popular music world,” the Times wrote. “Any whim that they had, he could indulge it,” Frank said this morning.